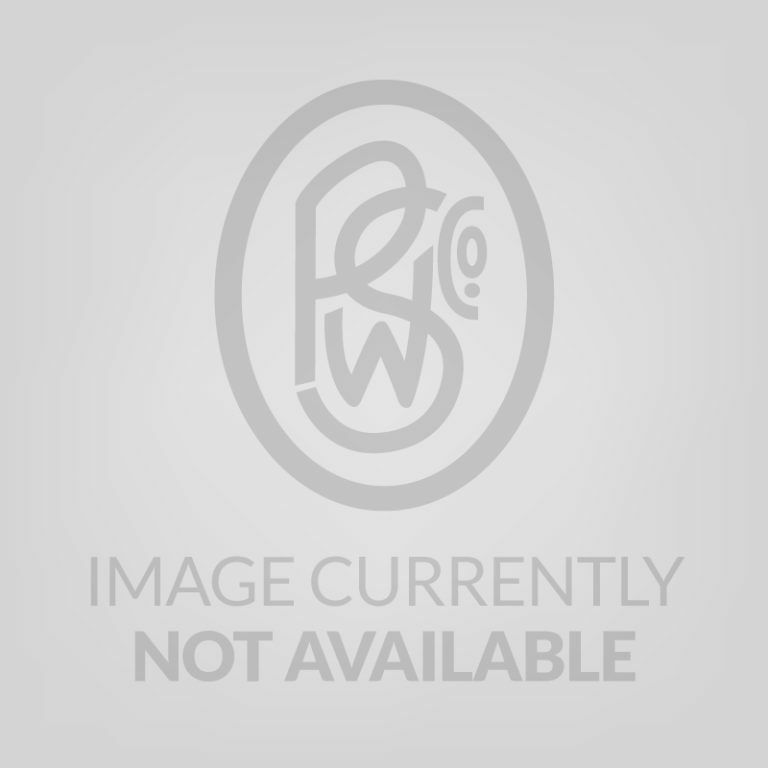 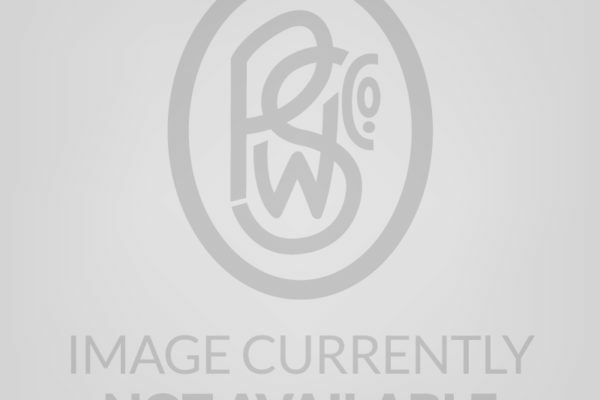 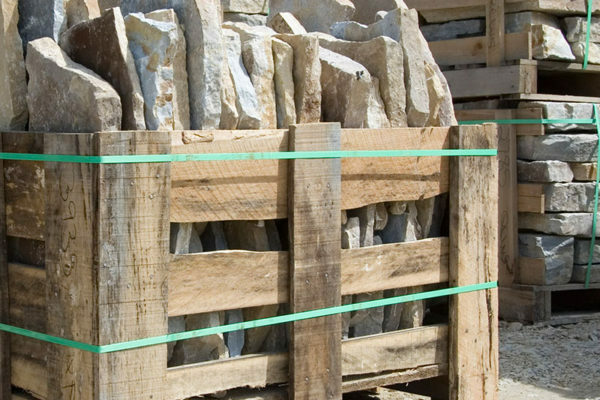 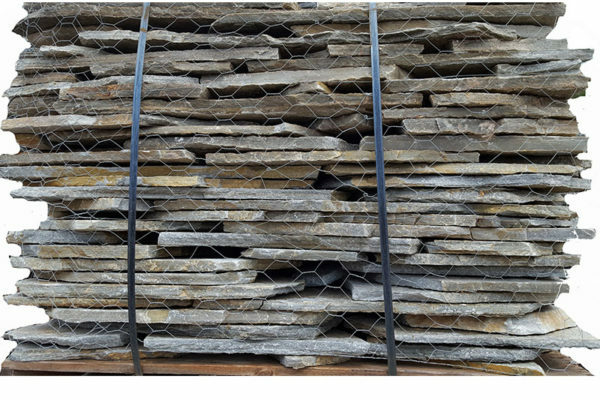 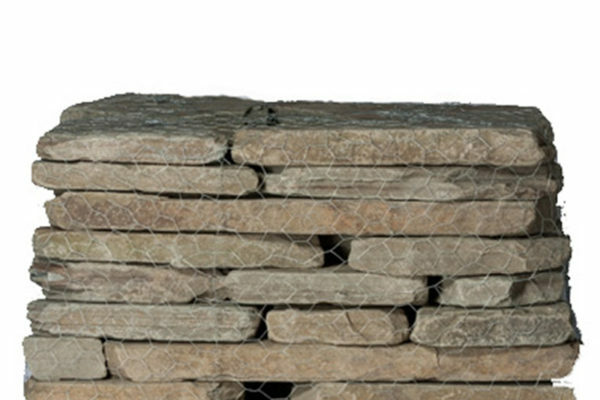 Flagstone - Portland Stone Ware Co., Inc.
Flagstone is a generic flat stone, usually used for slabs, walkways, patios, and fences. 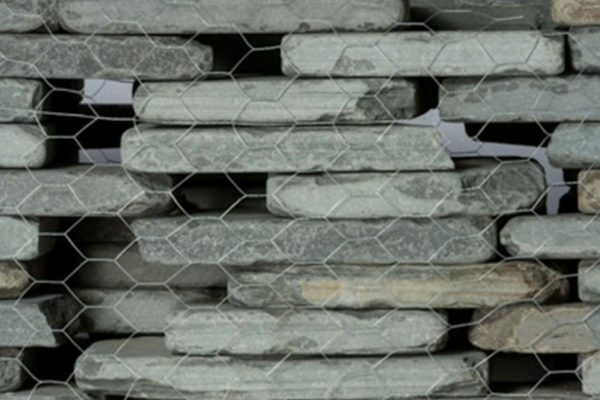 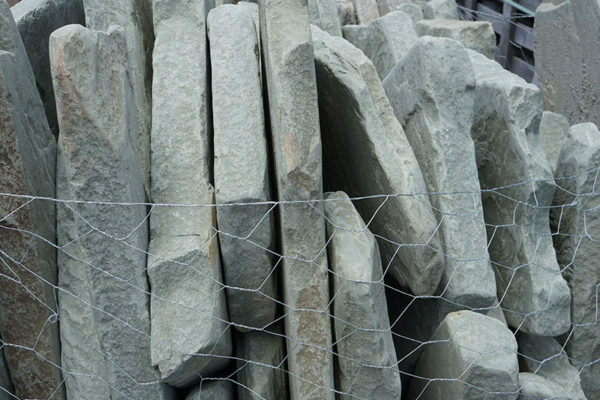 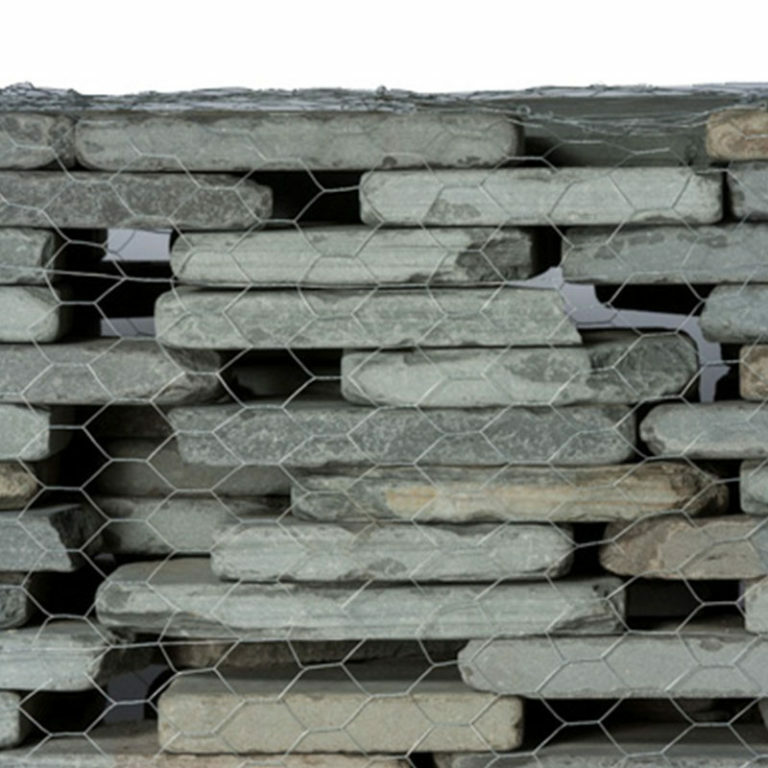 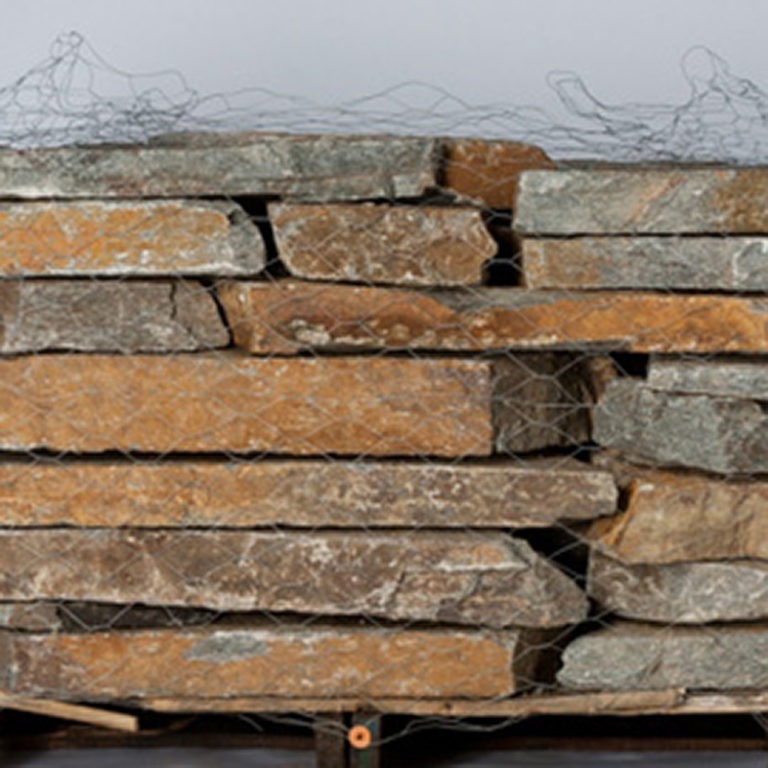 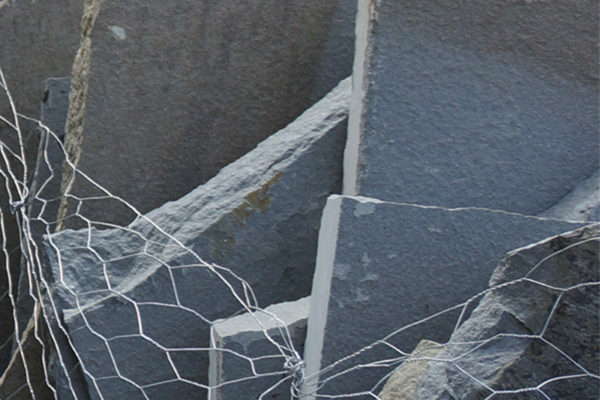 It may be used for memorials, headstones, facades and other constructions. 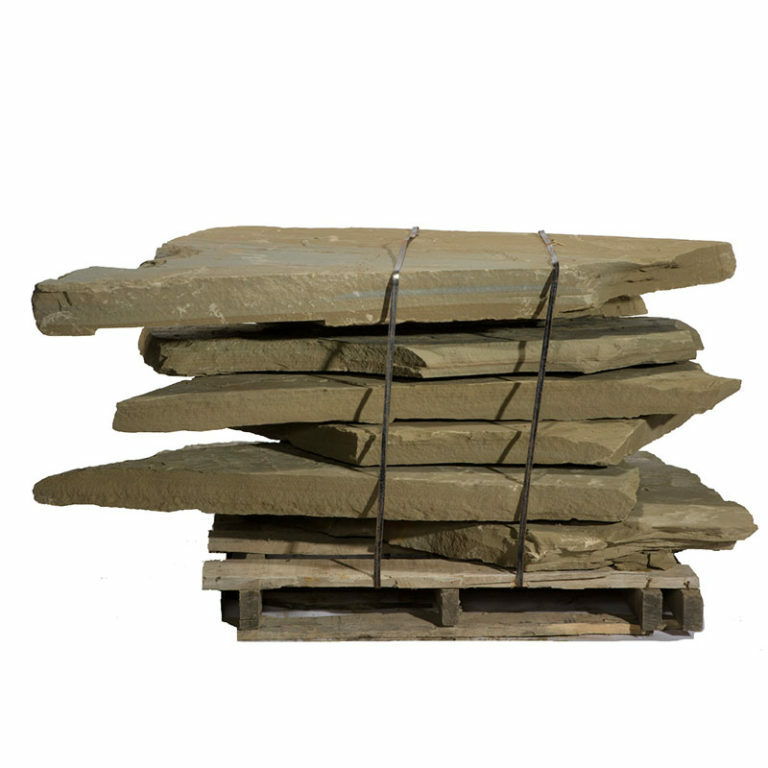 The name derives from Middle English flagge meaning turf, perhaps from Old Norse flaga meaning slab or chip. 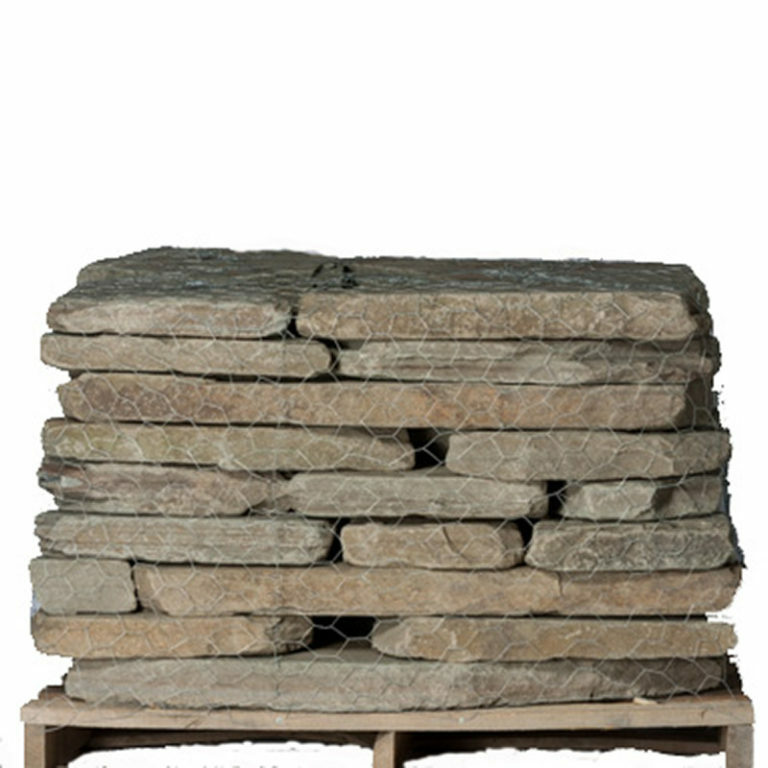 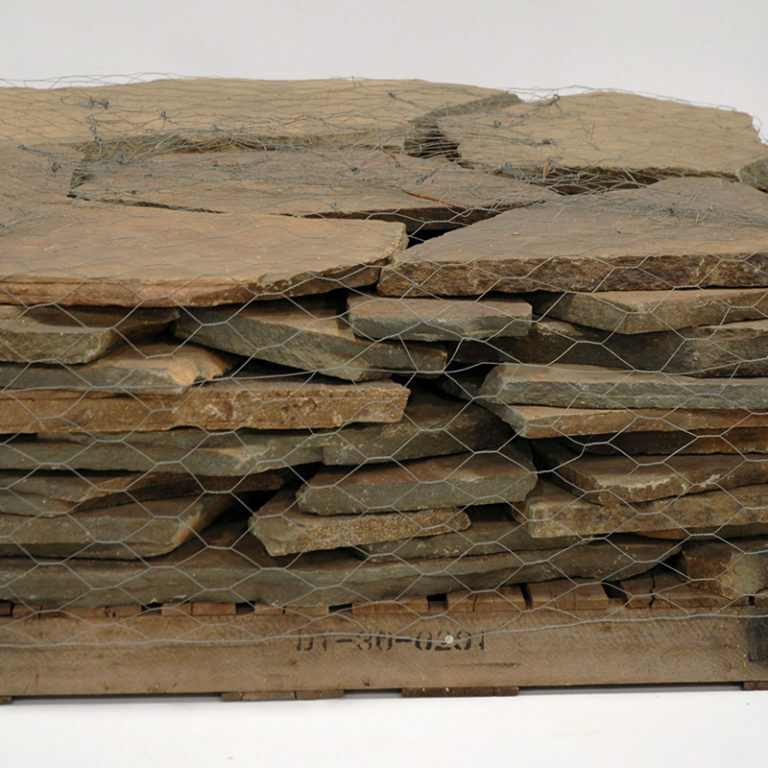 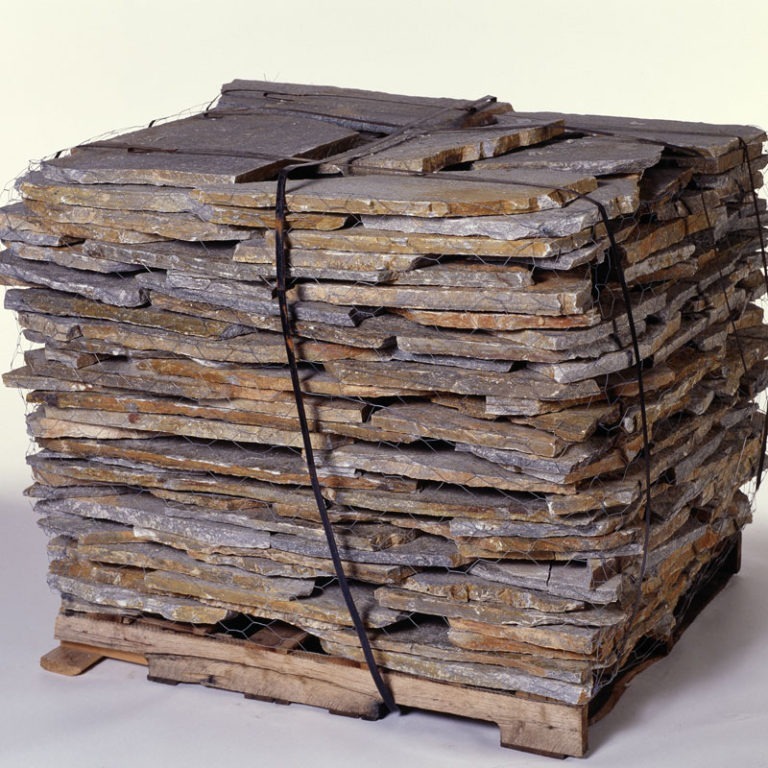 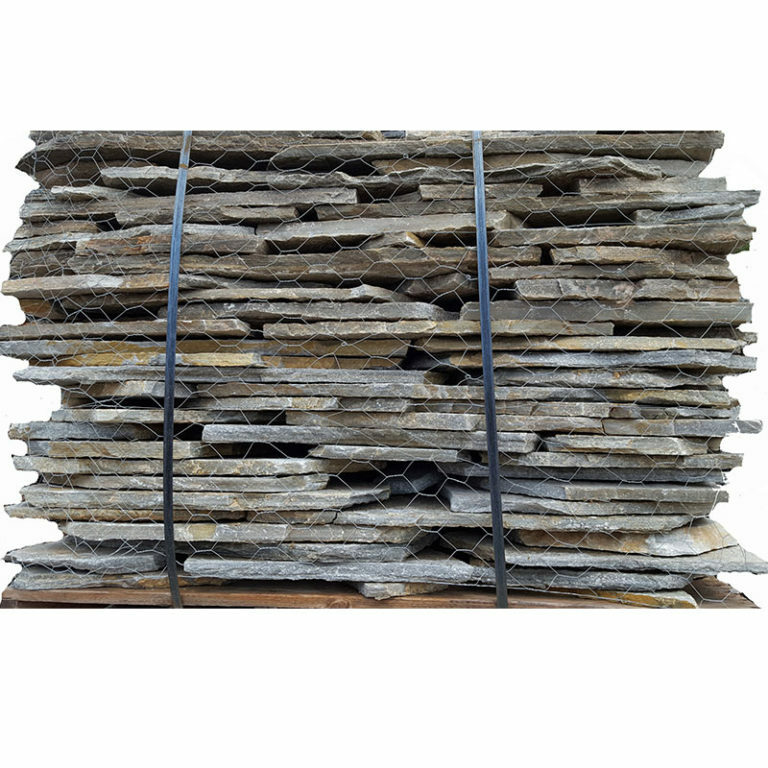 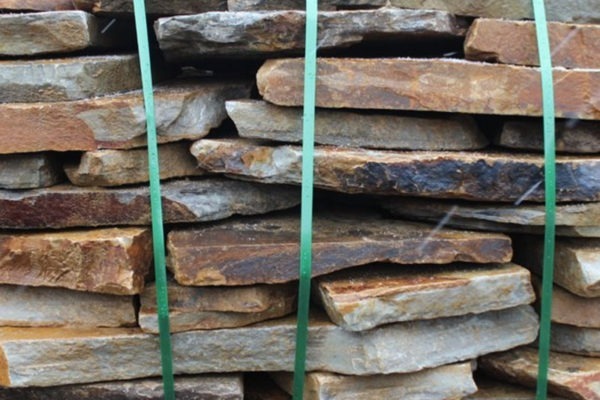 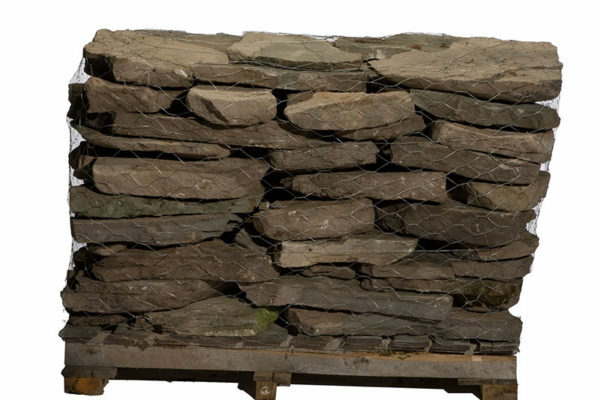 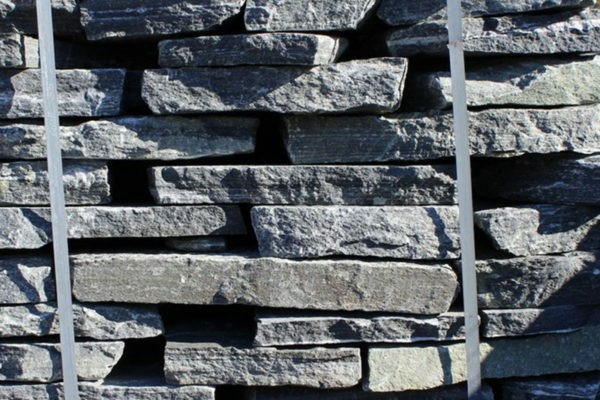 Flagstone is a sedimentary rock that is split into layers along bedding planes. 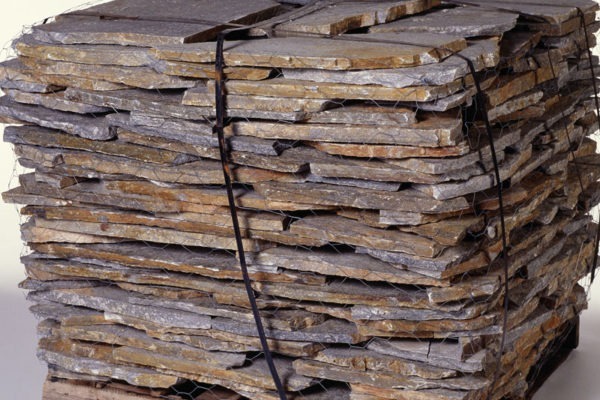 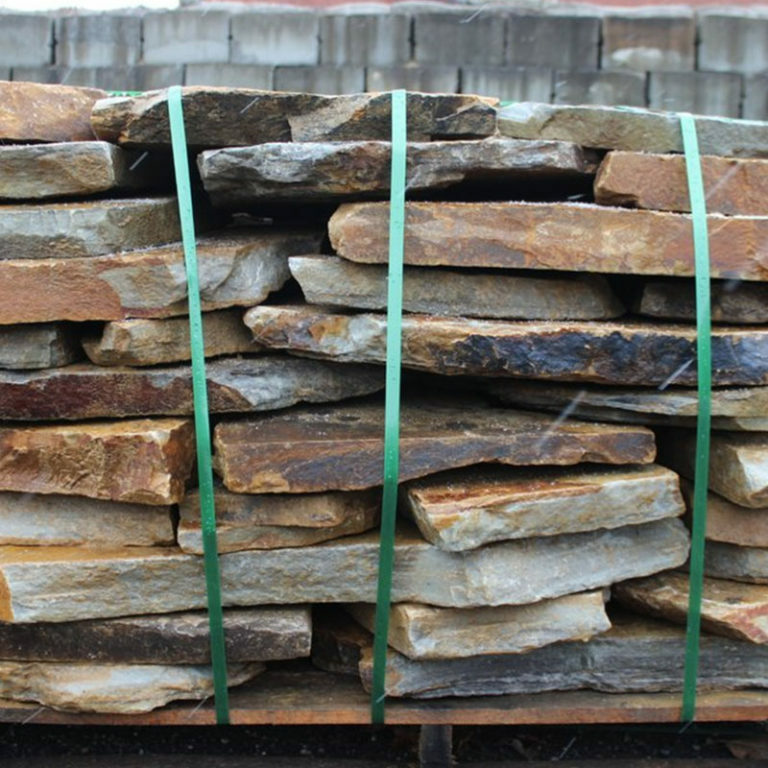 Flagstone is usually a form of a sandstone composed of feldspar and quartz and is arenaceous in grain size. 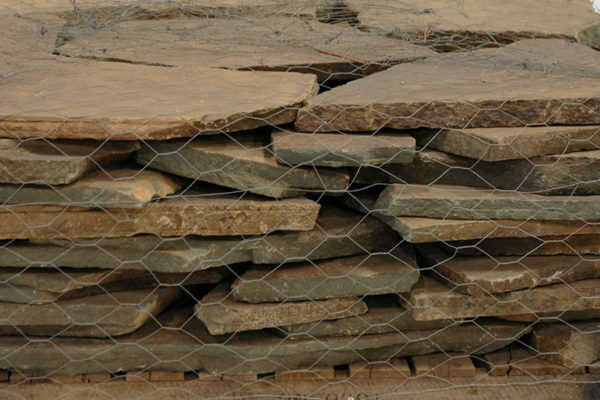 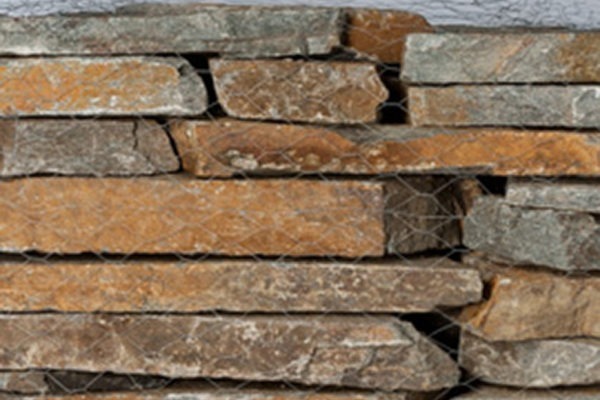 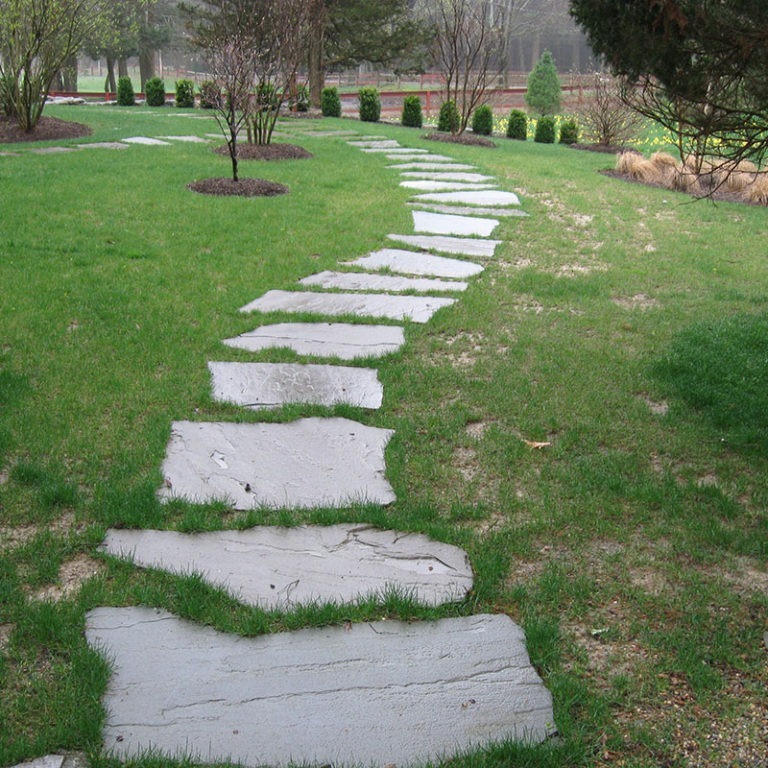 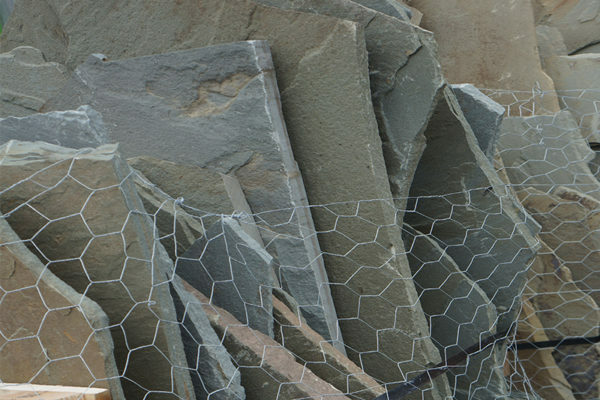 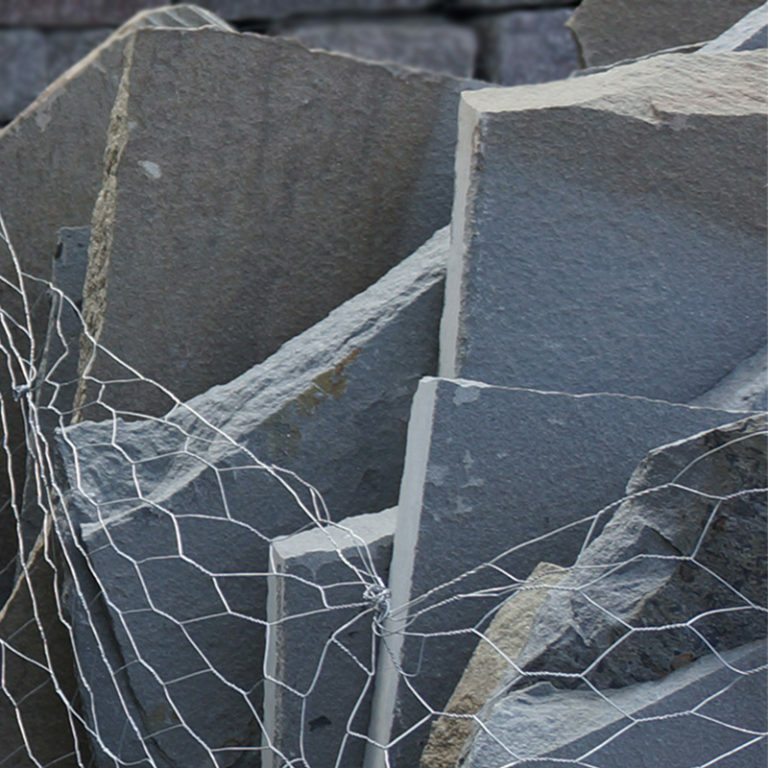 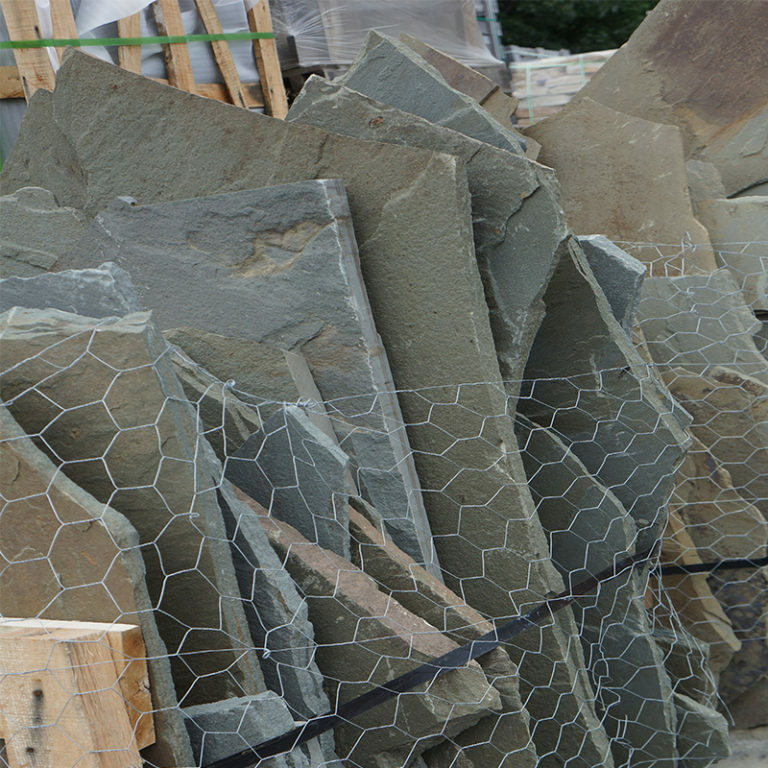 The material that binds flagstone is usually composed of silica, calcite, or iron oxide. 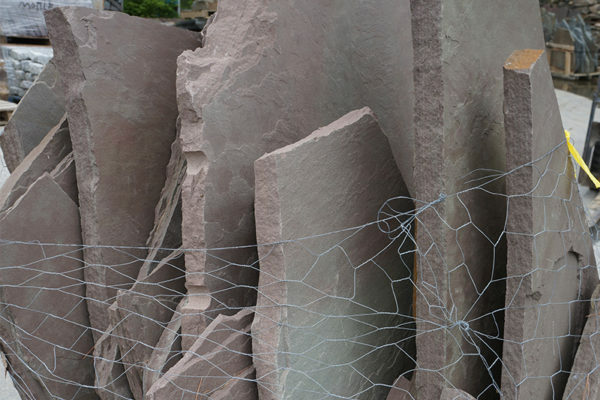 The rock color usually comes from these cementing materials. 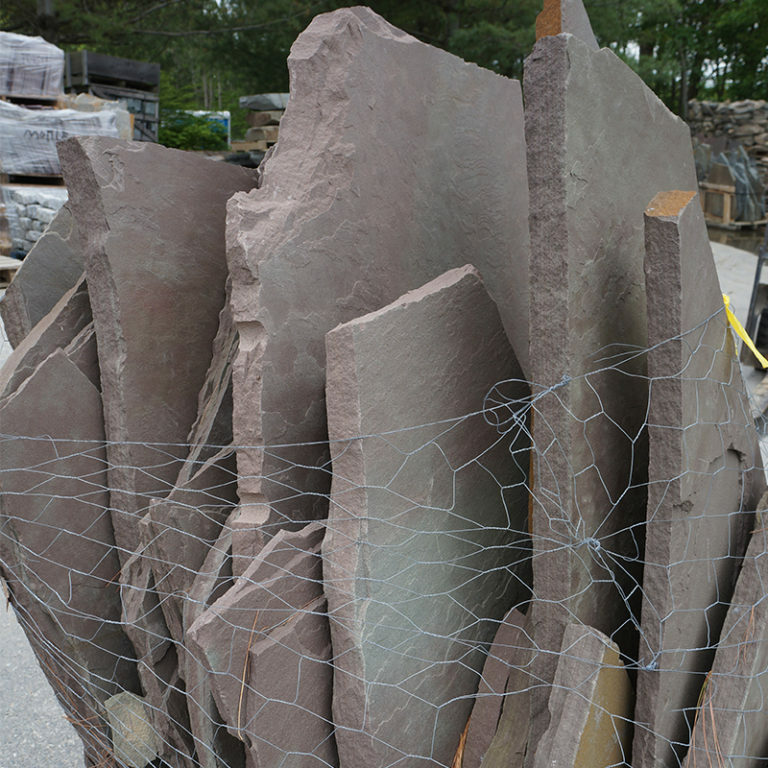 Typical flagstone colors are red, blue, and buff, though exotic colors exist. 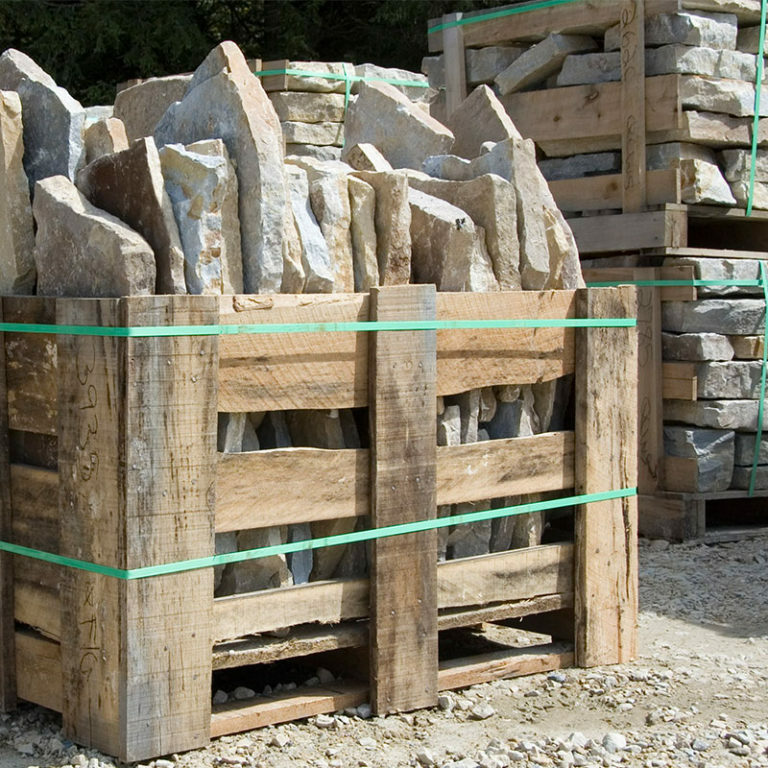 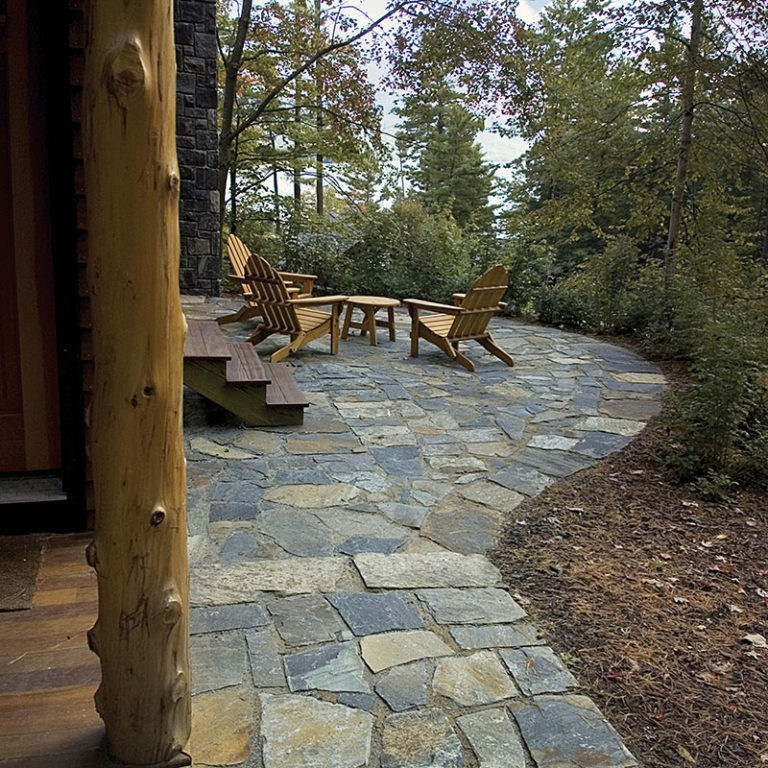 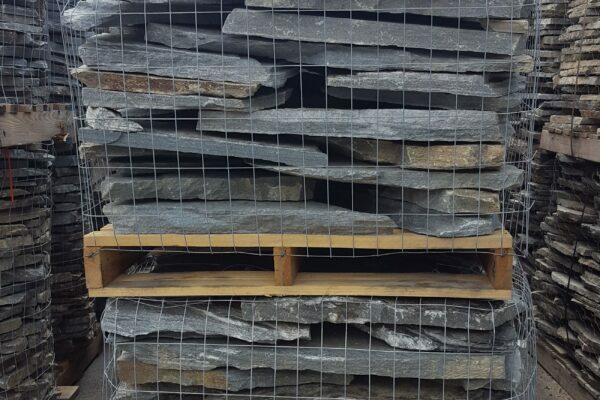 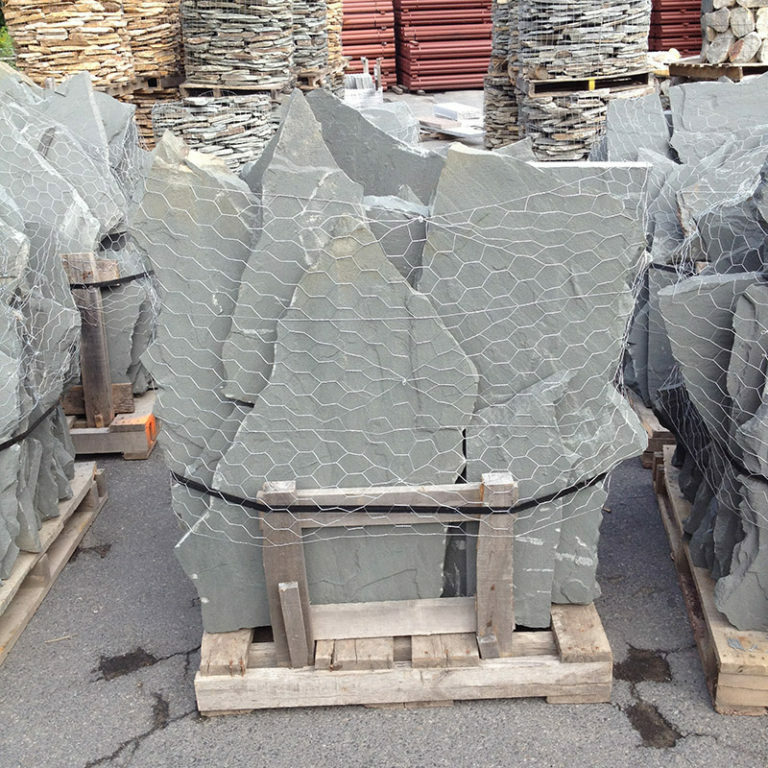 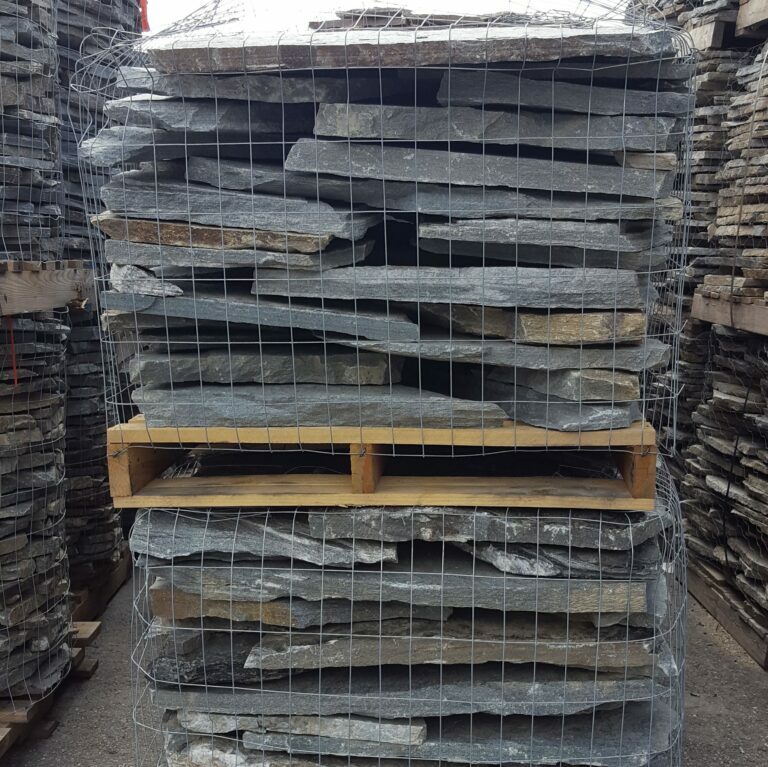 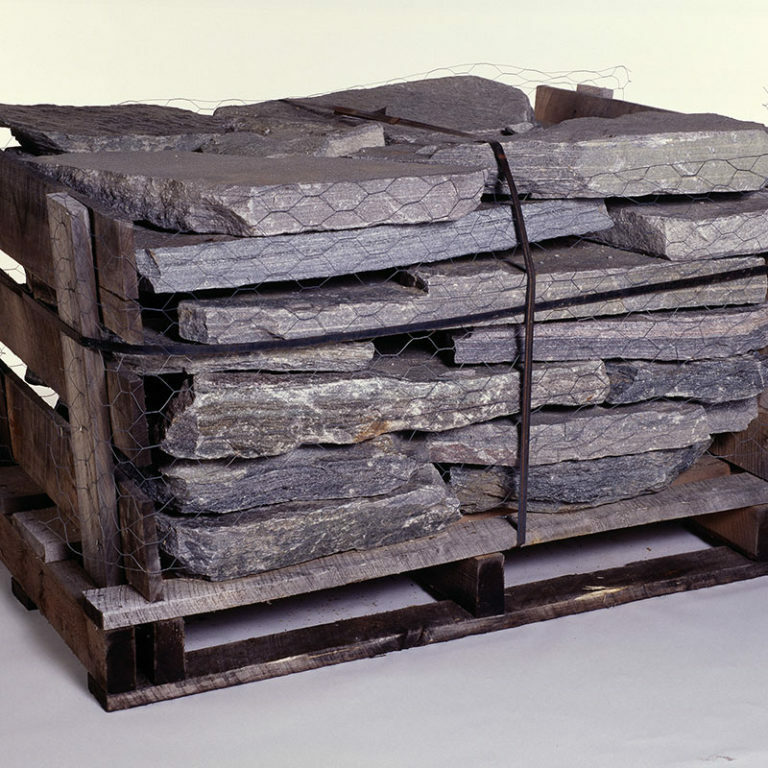 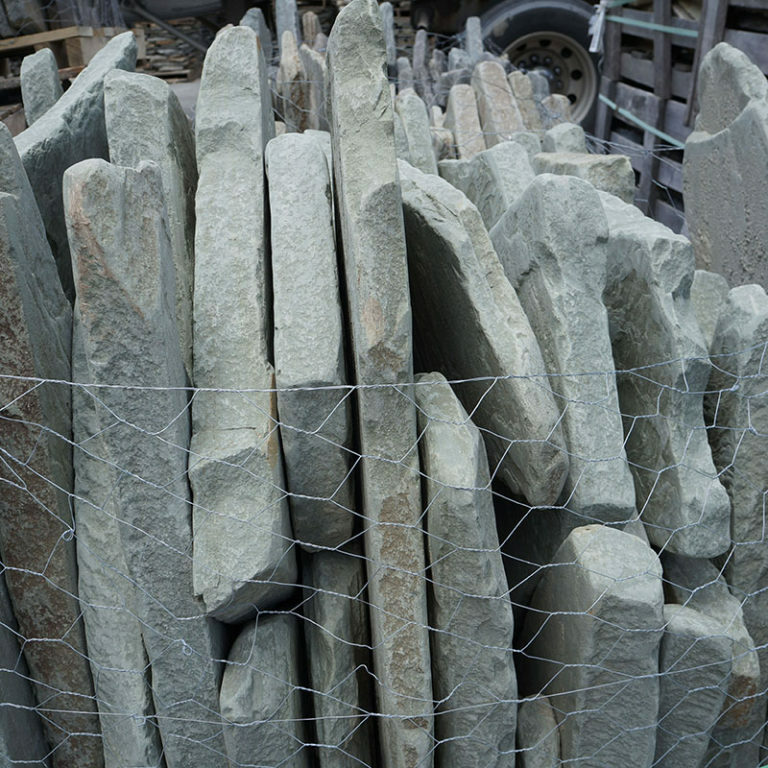 Flagstone is quarried in places with bedded sedimentary rocks with fissile bedding planes. 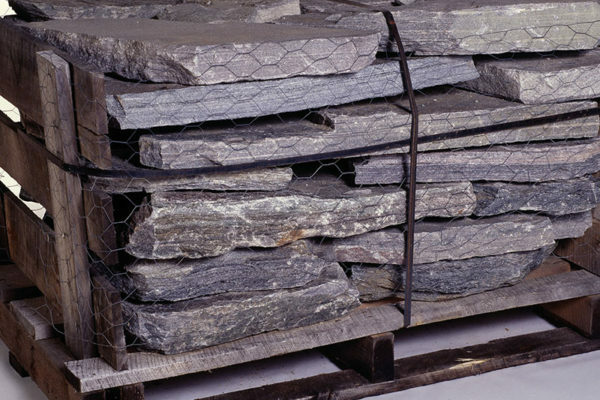 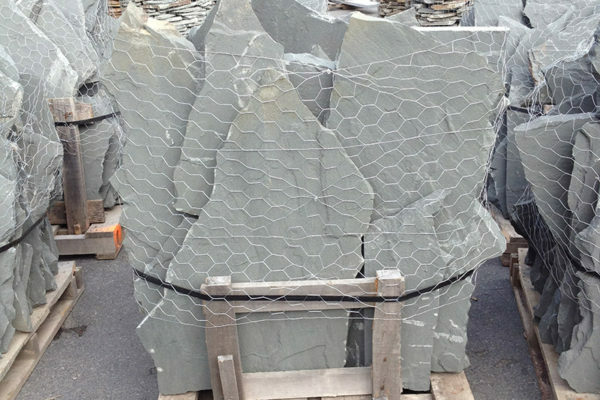 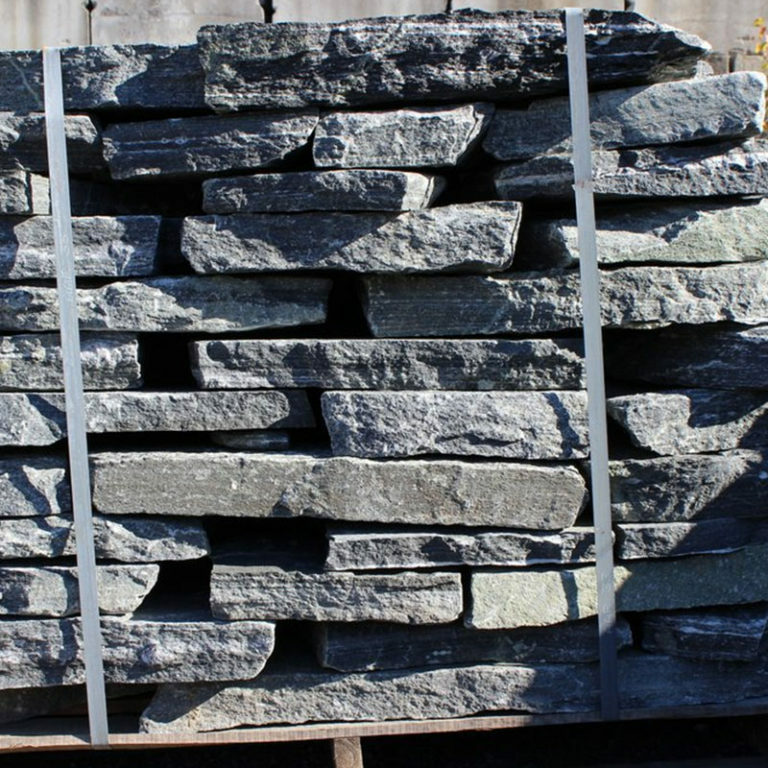 Examples include Arizona flagstone and Pennsylvania bluestone. 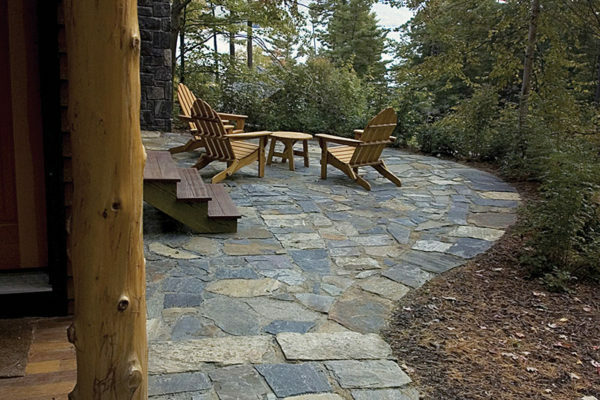 Today, flagstone continues to be used as flooring both in exterior and interior applications in foyers, pools, decks, paths, and other creative ways. 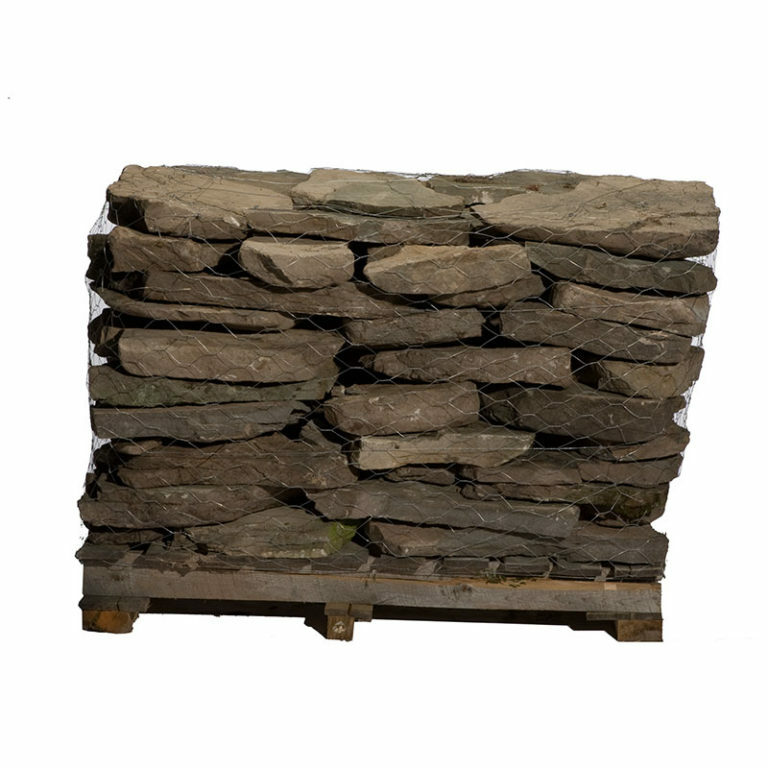 Note: All pallet weights are approximate. 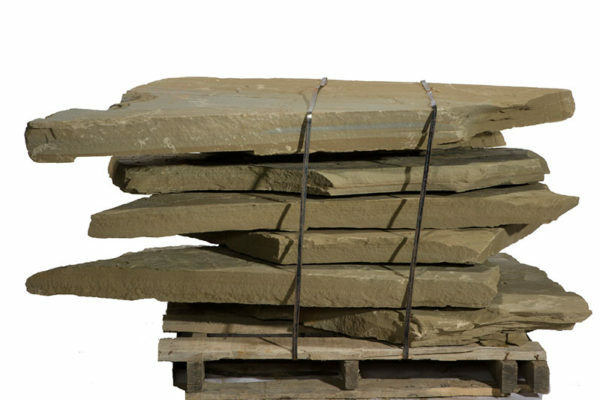 Approximately 80 square feet of coverage per pallet depending on joint size and stone thickness.